Lucky me got to have a summer holiday, something I rarely get to do. 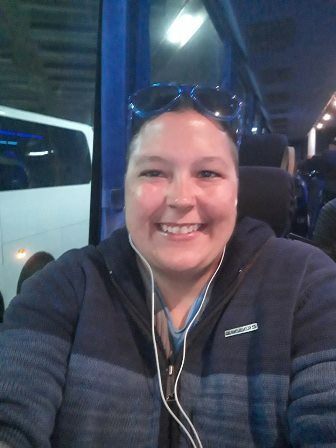 I decided I wanted to go to Melbourne which is the capital city of Victoria. The main reason for my visit down south was to ride a Melbourne tram. As a kid we never had trams in Sydney (we do have something now called the Light Rail which is like modern day trams) I thought whilst I was done south I thought I might do a bit of a craft crawl so armed with a large mostly empty suitcase off I went. 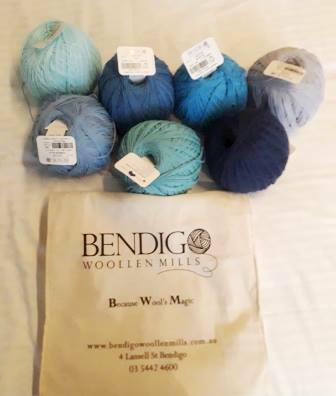 Once I had made up my mind to go down south I thought I wonder if I could make a day trip out to Bendigo, Bendigo is a regional city of Victoria and is the home of Bendigo Woollen Mills. If you have read my posts before I am always talking about yarn from there as I use it all the time and the link to their website is on my favourites page. I have always wanted to visit their factory shop as I’ve heard so much about it but not having a car I never thought I would actually get there. 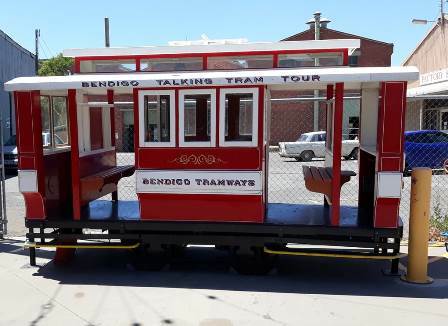 I did some research and discovered I could get a train from the centre of Melbourne to Bendigo, I actually booked my hotel accommodation so I would be really close to the train station that the Bendigo trains leave from. It was about 2 hour trip each way so I thought perfect knitting time. Once I got into the carpark I really had to control my craft crazy, I couldn’t believe I was there. I was trying to hold it together but I was an excited little kid. The shop is broken in 2 parts. The front of the shop has all the current stock of yarn, clothing, patterns etc. It is there online shop in the flesh. Seeing a room full purely of their large balls of yarn (their yarn is a 200g ball) was so amazing, I had come to the yarn mecca. I walked around looking at all the colours, squishing yarn. I was the kid in a candy shop and the rainbow of colours did make it look like candy, yarn candy the best kind. The second part of the shop is out the back and is kind of what people make the trip out for. It is a room full of factory seconds, discontinued lines, clearance yarn. Some stock they lots of, others they don’t. From the back section you could purchase enough yarn for a project if you were flexible enough with your colours/type but if you are wanting a particular yarn itself you may not find it in this section. 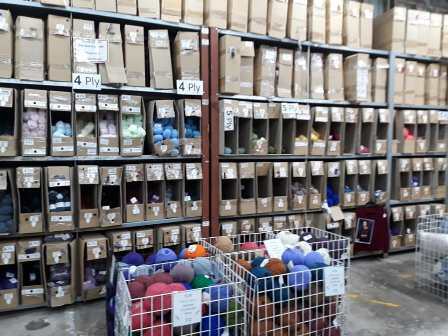 They have everything separated into categories (wools, cottons, acrylic) in the different plys but you may not find a lot of stock in the colour you want in it, I was looking for 4ply cotton but they didn’t have any in blue, they had only a few in earth tones. In some categories they had lots of a particular yarn so you never know what you will find. The back section was a lot of fun to look in, your brain was ticking of things you could do with the yarn you just found. You could really loose your mind in this section. I was a little bit lucky the week before I went to Melbourne I spent and few days up north at my best friends place again like I did last November. She gave me my Christmas present which was a gift card that I could use anywhere, straight away I knew it would be Bendigo shopping money. In the back room I found some variegated cotton yarn, I didn’t even know they did a variegated cotton yarn! I got 4 balls of it using the gift card. 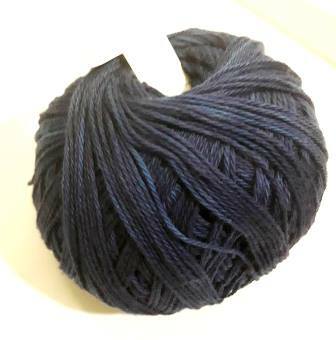 I don’t know what I will make but I know 4 balls will be ample amounts to do something, I’m thinking it will be some kind of wrap or shawl. By chance next to the shop is small tram museum which has a café, you can do a free tour or pay to go on an actual old tram for a ride. I stopped in there afterwards for a cold drink and a look around. The lady on the counter was really nice and rang a taxi for me as I didn’t know where to wait for a taxi or even to tell them where I was. 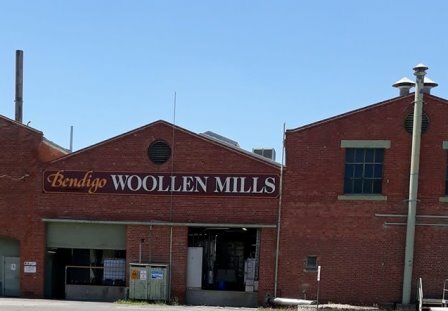 If you ever visit the woollen mills shop stop in at the museum for a drink and look around, it something you don’t actually find in Melbourne itself.